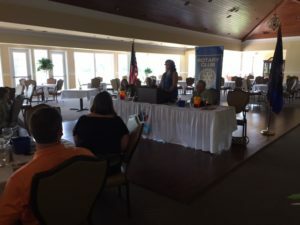 July 11th Meeting – A New Year for NMB Rotary! Our July 11th meeting kicked off the 2017-2018 program with Peg O’Hearn as our guest speaker. Peg is a retired nurse, and spoke about the severity of the opioid epidemic that is taking its toll across the nation. 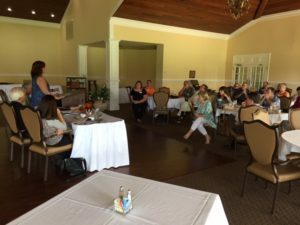 Peg spoke not only from her experience in the healthcare industry on opioid abuse, but also from a much more personal realm. Peg lost her son in the Spring of 2017 to an overdose, and she has now made it her mission to raise awareness about safe opioid use in the medical field to prevent addiction. The Rotary Club of North Myrtle Beach thanks Peg for sharing her story, and are here to help spread her message against opioid abuse.